Mexican World Cup Fans Cause Earthquake? 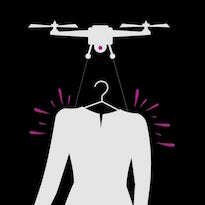 Saudi Arabia Drone Fashion Show? This entry was posted in The Reality Check Episodes and tagged bias, drone, earthquakes, fashion, implicit, world cup. Bookmark the permalink. One Response to TRC #503: Implicit Bias Training + Mexican World Cup Fans Cause Earthquake? + Saudi Arabia Drone Fashion Show? These instruments are extremely sensitive and regularly pick up “man made” events. I have second hand experience of this. In the late 1960s my father was a civil engineer in Papua New Guinea, specifically in Rabaul, New Britain, which has several active volcanoes in close proximity. Dad loved to tell the story of the mysterious seismic activity that monitoring station would pick up every day which started at 8AM and ceased at 4PM with a half hour for lunch. Sadly no. One of his crews was building a road a couple of kilometres from the station and they were the cause. Specifically a sheepsfoot roller, something he demonstrated by getting the crew not use specific equipment at pre agreed times. Oh how they laughed. So these instruments really will pick up man made vibrations. Rabaul is pronounced “Ra-BOWL” to rhyme with the bird, not Raborl or Rabool. It has one of the best deepwater harbours in the world in a volcanic caldera several kilometres across and the graveyard of any number of Japanese ships from WWII. The town was buried by a volcanic eruption in the mid ’90s (from memory).